There are two very different views when it comes to the health and safety of genetically modified food — industry leaders and scientists who support GMOs, and those who believe that GMOs are harmful. Genetically modified foods have been linked to toxic and allergic reactions, sick, sterile and dead livestock, and damage to virtually every organ studied in lab animals. By reading the PLU code, or price lookup number printed on the sticker, you can tell if a product was conventionally grown, organically grown, or genetically modified. .Conventionally grown fruits and vegetables (grown with fertilizers, pesticides, fungicidess, antibiotics, hormones), are labeled with a four digits code. For instance, a banana is labeled with the code: 4011. .Organic fruits and vegetables (produced without synthetic chemicals), are labeled with a five digits code, starting with the number 9. An organic banana would be: 94011. 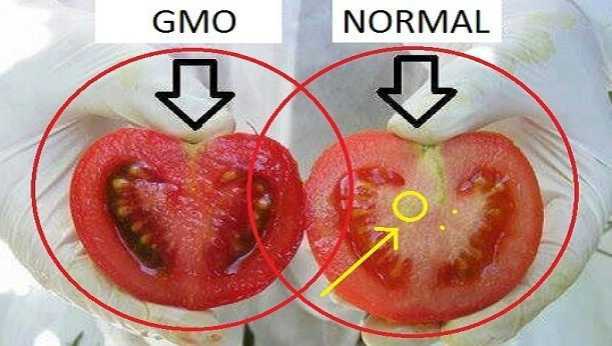 .Genetically modified (GMO) fruits and vegetables are labeled with a five digits code, starting with the number 8. A genetically modified banana would be: 84011. If you found this article helpful, don't forget to share it with your friends and family.